In a mobile world run by text messages and mobile internet access, talking on the phone is becoming a less important task for cell phones. Being able to access data and communicate in non-vocal terms is taking over the way we interact on the go. But not all users need the power of a Pocket PC in their pocket though still want more than a cell phone. Of course this is where the Smartphone devices comes into play. 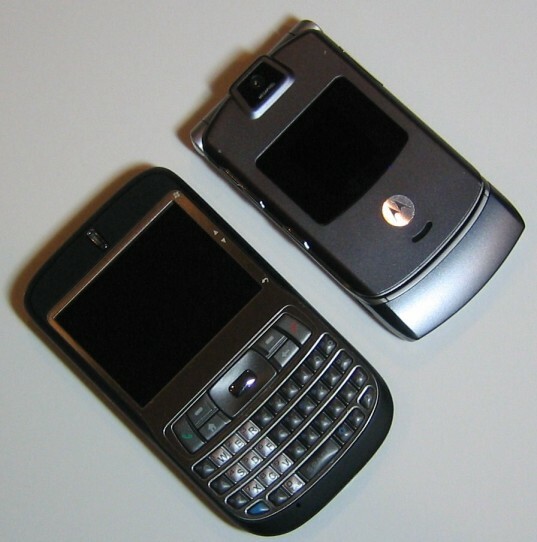 Until recently, Smartphone devices have still come in the standard cell phone style with a numeric pad for input. In a data driven world, numeric pads do not cut it and do not let the full power of Windows Mobile on the Smartphone shine through. 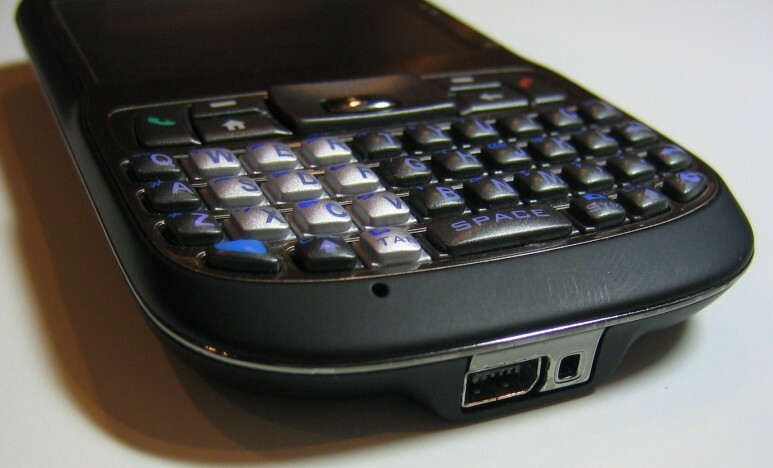 The HTC Excalibur brings an input style proven that was powerful with the Blackberry to a slim Windows Mobile device. Before I get further into the review, I should clarify the device I am reviewing. The product I have been using for the last couple months is the HTC Excalibur. MobilePlanet was nice enough to offer me a pre-release device for an extended period of time, though if you visit MobilePlanet site to purchase one (which I hope you will consider), you will not find it under the HTC Excalibur name. 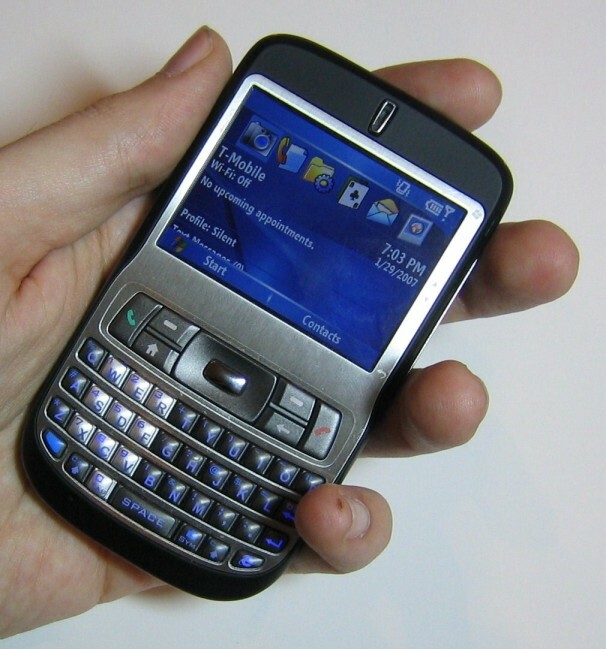 You will find it as the HTC S620 or as the T-Mobile Dash in the US (MDA Mail in Europe). The devices are nearly identical except for the branding and improvements the JOGGR. The HTC S620 is most like the device I am reviewing as it is unlocked. The T-Mobile Dash is locked to the T-Mobile US network. 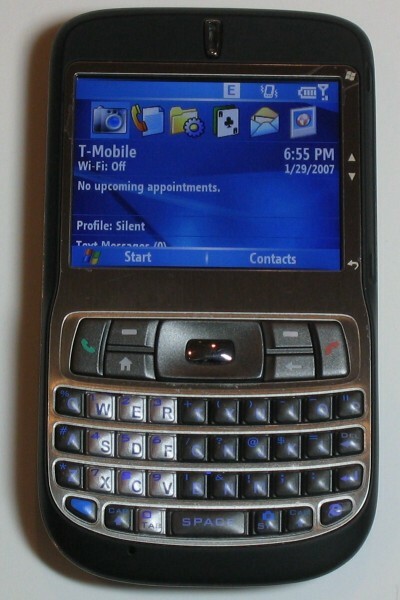 The HTC Excalibur is powered by a 200 MHz TI OMAP (850) processor running Windows Mobile 5.0. It includes 128 MB of ROM and 64 MB of RAM with support for microSD memory cards. There is no infrared port but Bluetooth, WiFi (802.11g) and quad-band GSM/GPS with EDGE included. The screen shows 16-bit Color with 320x240 pixels and there is a 1.3 megapixel camera. The battery is rated at 960 mAh. The Excalibur is 4.4" by 2.5" by 0.5" thick. The front face of the Excalibur includes a non-touch screen display. Unlike conventional Smartphone device that include a portrait oriented screen (taller than wide), the Excalibur has the screen in landscape mode. This makes tasks like checking mail significantly easier as more data is available on the screen for a particular message. Above the screen is the ear piece for the phone. Embedded in the ear piece are the LED�s for showing wireless connectivity and charging. Below the screen is the directional pad, soft key buttons, home button, back button, and send/end buttons. The directional pad is rectangular and is well sized for easy use of both the pad and the action button in the center. 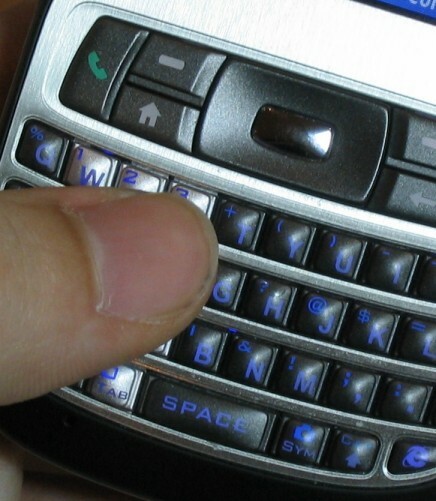 The QWERTY keyboard is also on the front face of the Excalibur. The JOGGR control for scrolling is placed just to the right of the screen. The left side of the device has the power button. The right side of the device has noting. The back has the camera as well as a mirror. The button of the device has a USB mini port for charging and syncing. The SIM card sits against the battery so it can�t be removed without the battery being taken out. Also under the battery cover is the microSD slot, which can be accessed without removing the battery. One of the biggest features of the Excalibur is simply the size. 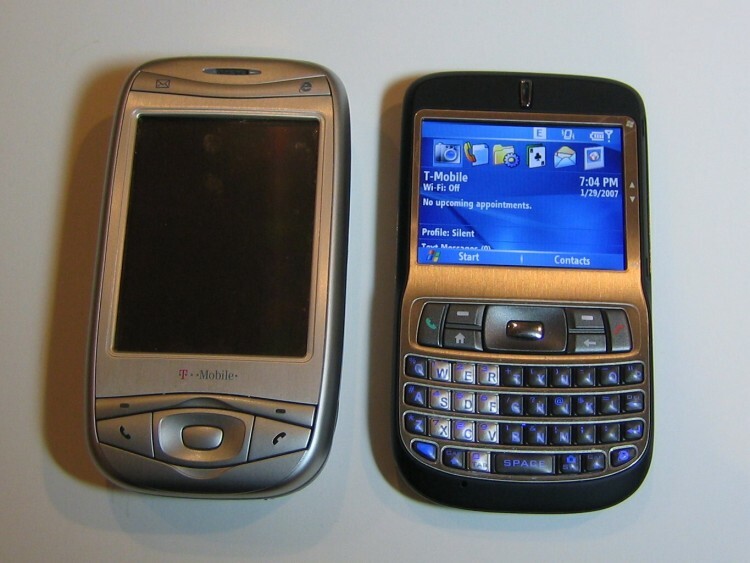 The rounded styling on the back makes it seem slimmer then it actually is though the Excalibur is only as thick as a closed RAZR, and its width and height are not that much bigger. The size allows the device to easily fit in a pocket even with other items. (The Excalibur and my Zune can easily fit in my jeans pockets.) Any one that stayed away from Windows Mobile products because of their increased size need not stay away from the Excalibur. As devices get smaller, the concept of �too small� comes into question. I don�t think a device could be too thin, but width could be a problem. While I think the height is fine, I think that the width is almost too small for my hands. Looking at the device, the size looks great but after using it for months the device is slightly too small when I am using it with both hands. With other Smartphone devices you just use it with one hand for input, but the Excalibur includes a QWERTY keyboard so two hands are used almost all the time. Speaking of the keyboard, it is one of the other key features to the Excalibur. The keyboard is made of 37 raised button keys. The letter keys are laid out in a grid (as opposed to a standard keyboard layout where keys are staggered). All letter keys provide double duty with symbols and numeric characters as the alternates. There is a function button to access the alternate option. The function button is placed well where a control or function key would exist on a standard keyboard. The caps lock key is placed to the right of the function key, which might seem to make sense but I find myself pressing the �z� thinking that is where the caps lock (shift) key should be. I wish there was one more column of keys (again, if the device where slightly wider) so the shift key could be in a more normal place with relation to the letter keys. The numeric pad is defined within the keyboard instead of having the numbers in a row. The numbers are available using the function key, though in some specific places within Windows Mobile, the numbers will become the primary function of the button. Interestingly, this doesn�t always happen in the right place. For instance, if I am in the phone application to dial a number but I want to dial by typing in a contacts name, all the letter keys work as letters except the letters that double as numbers. (Note that the contact list can be used to find a contact to call.) All the keys are backlit blue when the keyboard is in use, so it is easy to see the keys in the dark. Overall, I feel the keyboard could be better, though I do realize that the majors problem I have is that that the keyboard isn�t sized to my hands. When I can easily press four buttons fully with my thumb, it may be a sign that the device isn�t right for me. (See the picture where my thumb is on the keyboard.) For those with smaller hands, the keyboard is great. The keys are well defined and solid to press. Once a touch typist gets used to the placement of the keys (the non-alphabetic characters), it is a breeze to type on. As a phone, there are two problems I have. One is the contact based dialing I noted above. The second is that the numeric keys are no more defined than other alphabetical keys and symbols. I do nott know that there is a way they could have made things better for this style of device, but it is still something I noticed that felt a little out of the ordinary. Other phone functions of the device are great. The sound quality is good as is the clarity of talking to and listening is good. Often when I use unlocked phones as opposed to carrier locked phones, I find that the cellular radio does not connect as easily to my wireless carrier (which happens to be T-Mobile US) as with a carrier locked device. The Excalibur has been the best device I have had when it comes to reconnecting to the cellular network. It works as well as my T-Mobile locked MDA. The WiFi in the device and the Bluetooth are standard and function correctly. There is nothing overly different around these features. Because I have a pre-release edition of the HTC Excalibur for this review, I don�t have full support of the JOGGR like you would find on the T-Mobile Dash. The JOGGR is the bar to the right of the screen that allows you to scroll by moving your thumb along the side of the screen. I briefly tried the JOGGR on a T-Mobile Dash and was impressed by it. It does add another dimension of ease for users that hold the device in their right hand. The JOGGR allows you to scroll just by moving your thumb along the side of the screen instead of using the directional pad on the front of the device. Other functions are also built into to the JOGGR so you can navigate Windows Mobile with ease without having to change your hang placement or use other buttons. In the past couple months since this device has come out, many people I know (most of which are outside of the PDA world) have purchased a version of the HTC Excalibur. When I ask them why they purchased one, the reasons I usually hear include the size, the style, and Windows Mobile. 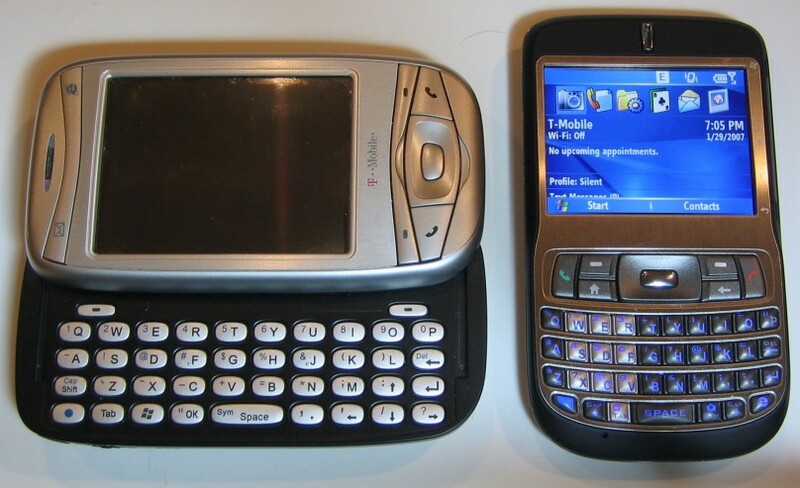 A couple of people upgraded from other Windows Mobile device while others moved from Sidekicks and more conventional cell phones. Everyone I have talked to that has purchased the device has loved it and I haven't spoken to anyone that has returned their Excalibur. I think that speaks very highly for this product. If you are someone that is looking to get more from your cell phone, the HTC Excalibur is a strong option. From our friends at MobilePlanet, you can find the the HTC S620 (unlocked Excalibur) is just $449 and the T-Mobile Dash (locked Excalibur) for $399. The Excalibur brings both phone functionality and mobile computing together with easy of input and a small package..
Microdermabrasion Perth . http://cvv-fresh-shop.ru cvv shop online - free cvv.